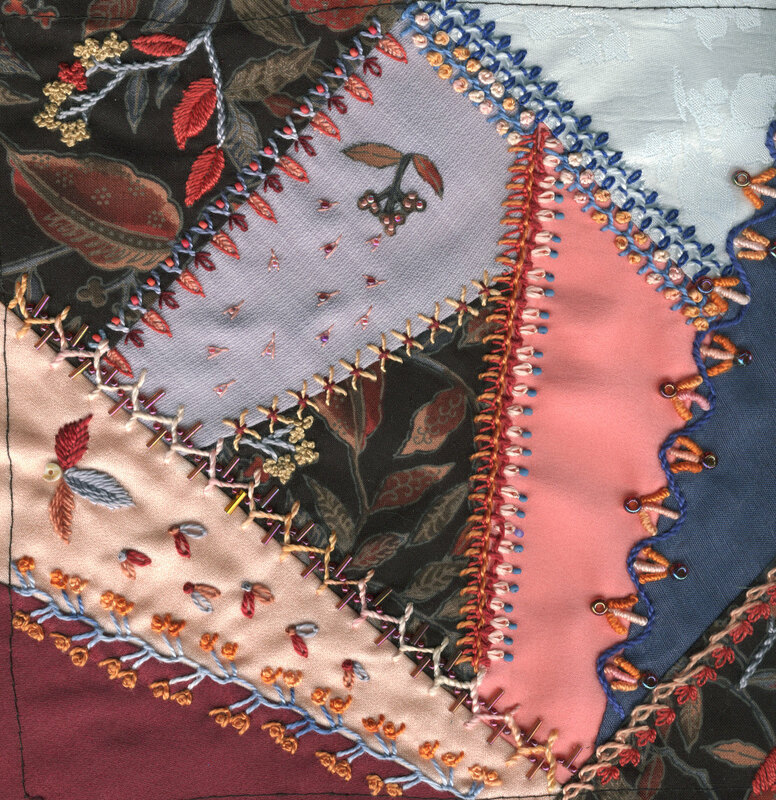 Continuing my effort to keep up with TAST (read all about Take a Stitch Tuesday here), I have used satin stitch and French knots to embellish a CQ block I’ve been working on for a while. 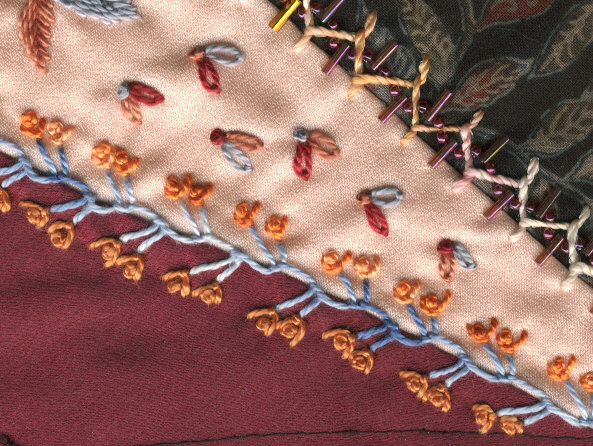 Here are French knots inside fly stitches and atop detached chain stitches. 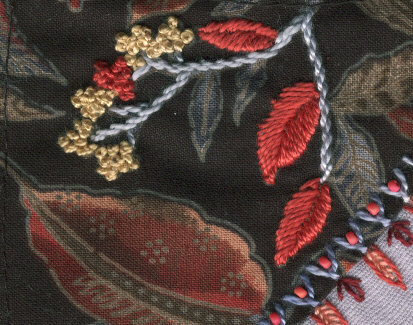 Below are French knots with satin stitch leaves. The stitching and colours are lovely.